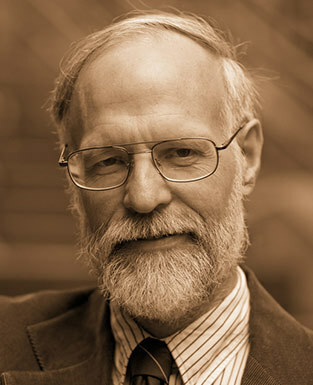 Dr. Richard Weikart is Professor of History at California State University, Stanislaus, and author of From Darwin to Hitler: Evolutionary Ethics, Eugenics, and Racism in Germany, Hitler’s Ethic, and Hitler’s Religion. Scott Rae: Welcome to the podcast Think Biblically, Conversations on Faith and Culture. I'm your host Scott Rae, dean of the faculty and professor of Christian Ethics at Talbot School of Theology at Viola University. Sean McDowell: And I'm your cohost, Sean McDowell, professor of Apologetics at Talbot Theological Seminary, Viola University. Scott Rae: We're here today with our friend Dr. Richard Weikart, who is a professor of History at Cal State Stanislaus, and an expert in the period particularly leading up to World War II with the rise of Nazism in Germany. Richard, you've written a lot about the world view, the ethics, the religion of Nazism, several books on this, Hitler's Ethic, From Darwin to Hitler, and then a new book that's just recently come out called Hitler's Religion. We'll talk a little bit about that as the time goes along. He also has a book that's about two years old that I would highly recommend to you called, The Death of Humanity and the Case for Life, where he tackles a lot of these current bioethical issues, but does so from the perspective of a historian, which you don't see very often in the discussion of these issues. Richard, let me start with this. I've heard some professors at various universities who are antagonistic to Christianity, hold the view that if it were not for Christianity, the Holocaust would never have happened. Why in your view, do some professors hold this view, and how would you respond to such a view? Richard Weikart: Many of them hold that view, of course they're coming from a secular viewpoint which looks at Christianity in a very negative light. We have to be honest and admit that many people who have called themselves Christians throughout history have some pretty horrible and atrocious things. Of course, seculars traditionally would trot out things like the inquisition, and the crusades, and things like that. We need to understand that Christianity has been abused and misused in all sorts of ways. I would argue that people committing the Holocaust, of course, if they were identified as Christians, which some were and some weren't, they would have been corrupted from Christianity. I would also argue that the Holocaust is more the product of a secular mentality. I would argue that the rise of secularism was what made the Holocaust possible. The reason for that is because there's no Christian leader who's ever called for the mass killing of Jews. Now there have been horrible things done to Jews. There were pogroms against Jews during the time of the crusades, and there were other kind of things like that that took place. In fact, many of the popes actually even tried to moderate that and made positive statements about Jews, and treating Jews well. Even Luther, who was pretty renown for his antisemitism, a lot of seculars look at him. He did say some pretty horrible things about driving the Jews out of Germany and such. What he wanted to have happen to the Jews was he wanted them to convert to Christianity, or to leave. There was no religious freedom in Europe at that time. That is also a problem, from my view, of the way that Christianity is being practiced. Nonetheless, they weren't calling for the mass killing of Jews. It was only with secularized thinking about the Jews, which began to come in in the 19th century that this became sort of the only option available once Hitler comes on the scene. Hitler viewed the Jews not as a religion, but as a race. He didn't want the Jews to convert to Christianity. Hitler made very clear that he thought one of the worst things that could happen would be if they converted to Christianity, because they would bring in their, what he saw as their bad biological traits into the German gene pool. The idea of killing the Jews was necessary from Hitler's perspective to get rid of the bad heredity that he thought was among the Jews. It was really secularism which made the Holocaust possible. Scott Rae: In your book From Darwin to Hitler, you make a connection between naturalistic evolution and the rise of eugenics and racism, which were at the heart of Hitler's ethic. Can you make some of those connections for us, draw the pieces together of what you argue for in the book? Richard Weikart: Yeah, actually when I got into this research topic, I actually was doing an investigation of the history of evolutionary ethics in the late 19th century. What I discovered was that some of the people who were pushing for evolutionary ethics, actually there's two kind of ideas in evolutionary ethics. One is that ethics have evolved, so sort of a naturalistic explanation for the origin of ethics. The other thing though, is that some people were arguing that ethics is defined by what promotes evolution. The eugenics movement, which was a movement to try to engineer human heredity, or improve human heredity, was actually a way to try to drive the evolutionary progress forward. That's how many people saw it themselves. There's this poster from the third International Eugenics Conference where they say that eugenics is evolution essentially, that it's just attempting to try to promote evolution. Racism likewise, racism was being explained, scientific racism in the late 19th century was being explained as some races were more highly evolved, and others were less evolved. A scientific racist in the late 19th and early 20th century was just imbued with evolutionary kinds of thinking, and the whole notion of racial inequality was built into this idea of human variation, which had to be there in order for human evolution to occur. Hitler was going to draw upon these ideas that were already widespread. I'm not just talking among cranks, or something on the streets. We're talking about here about the scientific faculties, the medical faculties at the German universities were teaching scientific racism. If you look at anthropology, they were teaching scientific racism. Eugenics was very prominent in the medical faculties in German universities. Hitler was drawing upon a fund of ideas that were pretty readily available at the highest echelons of German scholarship. Scott Rae: You would say that the eugenics movement that resulted in Germany was a natural outgrowth of the world view that was being promulgated at the time? Richard Weikart: It was built upon Darwinian foundations. Darwin himself thought that you should rely more on natural selection rather than artificial selection. Eugenics movements were promoting artificial selection, but still it was built upon the idea that some people are inferior when applied to humans. Some people are inferior biologically, therefore you have to determine if you're just going to let them die naturally, according to natural selection, or are you going to try to help evolution along by introducing some kinds of measures to get the so called right people reproducing, and keep the wrong people from reproducing. That's what eugenics would typically try to do. Compulsory sterilization became one of the favorite methods by the early 20th century of trying to control reproduction to drive the eugenics movement forward. It was built upon the Darwinian idea that there was this variation in humans. It was a biological variation that is there, and that humans are essentially unequal. Scott Rae: The book, From Darwin to Hitler, you'd also talk about the phenomena of social Darwinism as an application of that. What do you mean by that term social Darwinism, and how did that impact the eugenics movement as it came to be in Germany? Richard Weikart: Actually, the way I define social Darwinism is a competitive ethos that sees certain individuals as winning out in the struggle for existence. This can be on the level of individuals within a society, of we're talking about humans, it can be individuals in a society, or it can be societies competing against each other, so nations, or races, and such. Actually, I see eugenics as being artificial selection, so I see it as being a separate kind of thing. It sort of buys into some of the social Darwinist mentality, but it promotes artificial selection instead of natural selection. The social Darwinism would be pushing things like capitalist competition, economic competition for individuals within a society, or militarism and expansionism so that different nations or races would out compete their competitors. Scott Rae: Your most recent book on Hitler's Religion, there you're attempting to understand the different religious influences on Hitler and Nazism. I've heard it often said that Hitler was a Christian and was operating out of something resembling a Christian world view. To what degree is that the case? How would you assess the religious underpinnings of Nazism? Richard Weikart: One of the reasons it's said that Hitler was a Christian was because he said so. If Hitler said it, I believe it, and that settles it, right? Hitler said he was a Christian, he must have been a Christian. The case is though, he was a very savvy politician. Interestingly in his book, Mein Kampf, he actually says that we need to be very ... We meaning he and his fellow Nazis, need to be very careful not to alienate people over religion, because he saw what had happened to a prominent politician in Austria, who he actually thought very highly of. He said that this guy had a lot of the right ideas. His name was Georg Von Schonerer. He said Von Schonerer had a lot of the right ideas, but he had some bad political tactics. One of the bad political tactics was that he led a campaign against the Catholic Church. That sort of shot down his whole political career, because Austria was predominantly Catholic. Hitler said we need to make sure we don't alienate people. When Hitler was in Landsberg prison after his Beer Hall Putsch. He actually told Rudolf Hess, who was in prison with him there, he told Hess that he had to be a religious hypocrite and not alienate people religiously. Hitler told his closest confidants clearly that he wasn't a Christian, that he was duping people essentially with his claims that he was a Christian. Hitler did make these claims in April 1922, one of the most famous ones where he said that Jesus was his Lord and Savior and such. If you look at what he was talking about privately, and sometimes even publicly, and I do bring out a lot of examples of this in my book, Hitler's Religious, Hitler was bashing Christianity pretty consistently. He called it one of the most insane things that a brain has ever brought forth at one point in the early 1940s in his monologues for example. Hitler was really antagonistic to Christianity. He tried to destroy Christianity, although again he tried to do it in sort of a slow step by step manner. He tried to undercut the influence of Christianity wherever he could once he was in power. He knew that it wouldn't be possible just to out and out just battle the churches forthrightly, but he tried to undermine them any way he could. He eliminated Catholic and Protestant youth organizations, and made everyone join the Hitler Youth for example, so he's trying to win the young people and keep them away from church. They would have Hitler Youth meeting during Sunday mornings for example. When Hitler held his Nuremberg rallies every September, they would meet on Sunday mornings, and people would not go to church. If you look in my book Hitler's Religion, I give lots, and lots, and lots of evidence showing where Hitler, especially in private rejected Christianity. All of Hitler's associates, both in [Gurdles 00:11:34] diaries, Rosenberg's diaries, his secretaries memoirs, and lots of other memoirs of his closest associates make very clear that privately Hitler condemned Christianity. Sean McDowell: He rejected Christianity. Do we know if his world view was more pagan, secular, what was his world view in terms of religion that we know about? 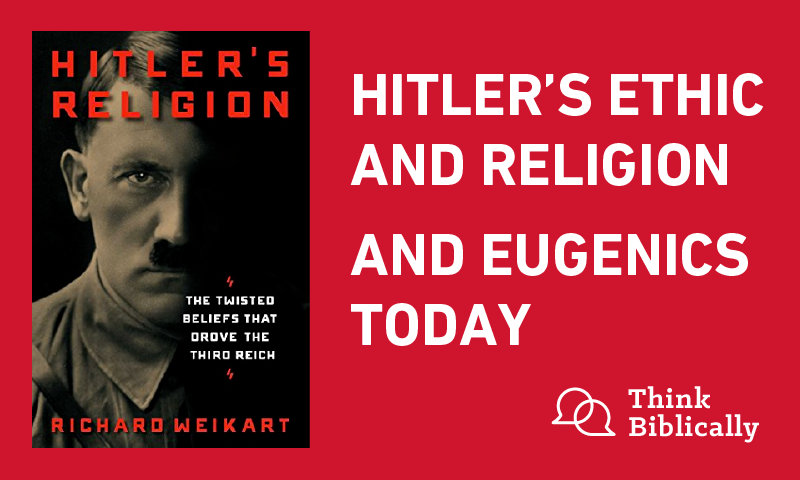 Richard Weikart: What I would argue in Hitler's religion was that he was a pantheist, that is that he believed that nature was the same as God. This is a secularized kind of religion in some kind of ways. In fact, there's actually two different kinds of pantheism. One of which I think Hitler's was closest to, which is called scientific pantheism, which sees the universe as being basically mechanistic and just calls it God essentially. Hitler did have some kind of notion of transcendence in some way. He does talk about providence a lot, and he sees providence as intervening to help him in his career, and to save him from assassination attempts, and other things like that. He does have sort of a some kind of vague idea of some kind of divine intervention and providence, but he doesn't have a notion of a well developed personal god. He doesn't believe in any kind of personal afterlife. He actually does at one point talk about afterlife, and his vision of the afterlife is just sort of you're reabsorbed into the cosmos. Sean McDowell: Wow. Very interesting. You don't hear that talked about very often at all. In your book, The Death of Humanity, you've applied much of historical background to today's ethical issues. What do you see in common with how our culture thinks about issues of life and death today, and how our European predecessors thought about them? Richard Weikart: It's really tricky when you try to start making some connections with Nazism and things going on today because of course, it gets overused. Everyone's calling whoever happens to be their villain, Hitler or the Nazis, or things like that. I try to be careful about that. On the other hand, when we still do need to see what parallels are there, one of the things that concerns me most when I look back at the European thinkers before the Nazi period, and the kinds of things that they were promoting, such as the social Darwinism, the evolutionary ethics, the inequality of humans, and other kinds of things, what concerns me is that I see in common an undermining of the sanctity of human life that was going on in a lot of secular thought. They're undermining the notion that Thomas Jefferson wrote into the Declaration of Independence when he said, "That all men are created equal and are endowed by their creator with inalienable rights, among which are life, liberty, and the pursuit of happiness." A lot of secular thinkers, both then and today, are undermining the idea of human equality. They're arguing that no, humans are unequal. Some human beings are persons, and some human beings are not persons, and don't have the protection of the law. They're arguing that there is no such thing as inalienable rights, that rights are created by society and by humans, and so there is no such thing as inalienable rights. I'm very concerned about the way that the thinkers before the Nazi period undermined the value of human life, which gave rise to not just the Holocaust, but the Nazi killing of people with disabilities, the whole notion of scientific racism and such, and today the devaluing of human life, which isn't being pushed so much in scientific racism, except in some extreme, like the alt right. Interestingly, the alt right very often embraces Darwinian thinking about human inequality, and such too. There are some elements in our society, like an alt right, who do go that way. On the more mainstream of our society, certainly in academe, we see though an undermining of the value of human life on the notion of some humans are persons, and some are not. Scott Rae: I appreciate the caution with which you approach the use of the Nazi analogy for some of the bioethical trends today. Take for example the euthanasia movement in Germany. It's often cited that there's a parallel today, how it's just a slide down a slippery slope today as it was in Nazi Germany. My observation is that the euthanasia movement in Germany never had a beneficent goal to it in the first place. It was not patient centered, it was not individual centered, it was for eugenic purposes. Often suggested that the Nazi program sort of started at the bottom of the slippery slope and descended further. It's not really a good example of how the euthanasia movement today moves from something voluntary to something non-voluntary. The things that the two ways of looking at a human being have in common, I think the idea that you can be a human being, but not a person with rights and protectability, I think is an element that they had in common. The idea that there is such a thing as a life not worth living. I found alarming that the term used in Germany of useless eaters has come back into vogue today, particularly in the discussion of euthanasia in Europe. The commonalities are more in terms of how we think about the sanctity of life, particularly at the margins that I see being resurrected today. Richard Weikart: Interestingly in the way you framed that, one time I was asked after giving a talk about From Darwin to Hitler, I was asked about the issue. Back in those days it was compulsory, it was government driven, and such like that. Today, it's individually driven by people making their own choices. I told the person who asked that question, I said, "I'm not sure that's actually better. Today we have now millions of individuals making these choices for abortion, for euthanasia, for assisted suicide. Now we've got millions of people making these choices, and people are still dying. I'm not sure if that makes it better or worse, rather than a government driven program, where smaller numbers of people are making the decisions to do it to everyone else." Scott Rae: Generally assume that if people making those autonomous choices themselves, that's just automatically a better thing. I think that's a valid point. That may not be the case. Sean McDowell: In your book, you also point out, what I so appreciate about your book on The Death of Humanity, is how you trace all the historical steps to how we got here in each of these issues, such as euthanasia, and eugenics, and trans humanism, things like that. Help our listeners understand, how has the eugenics movement resurfaced today? Richard Weikart: Today again it's done in a more individualistic kind of way today. We have amniocentesis, and so we've got all sorts of ways that we now can detect different kinds of birth defects and such in the womb now, so a lot of it's happening through abortion these days, rather than having to happen after the birth, as say the Nazis and others were practicing it in their day, because they didn't have quite as sophisticated technologies as we have. Now we have a situation where Iceland has declared itself completely free of Down Syndrome, and US, and France, and other countries have about 80 to 90%, I think is the figures right now of people with Down Syndrome being aborted. A lot of the eugenics going on today is going on through abortion. Scott Rae: I think it's fair to say that I think our commitment to diversity does have some limits to it. Sean McDowell: Richard, let me ask you this. You've studied this issue historically, but also in the present. Where do you see the next maybe two, or five or ten years going in terms of the ethical issues that are culture will be discussing and debating, in particular around the topic of life? Richard Weikart: I'm a historian, not a prophet. I am very hesitant to predict where we're gonna be going on these things. In thinking about where we've gone over the past say 10 to 20 years, I'm very hopeful ... In fact, the whole reason I wrote my book, The Death of Humanity, is because I'm hoping we can put the brakes on, and won't keep going the same direction. I don't think we have to. Obviously different things have taken place historically. If we think about the long term trends where some abuses of human rights, slavery comes to mind for example. It can be stopped. Just because slavery has existed for a century, doesn't mean that it can't be put an end to. I think the same thing is true with us with abortion, and infanticide, and euthanasia, and assisted suicide, and these kinds of things, even though it seems like we're sort of being run over by a train here in terms of ... It seems like the momentum is all toward, moving toward more of those things. I don't think we should give up and assume that it just has to go that way. California law apparently just got struck down as unconstitutional yesterday by a California judge because it was passed during a special session. Whether it will stay that way, we don't know. Even if it doesn't get struck down as unconstitutional, we can legislate it away. We can change the legislation once again. I don't want to predict where we're going to be going that way. I see the direction we're going right now, which is not good, but I'm hopeful we can arrest it. Sean McDowell: Tell me some things that our listeners can do. What would you encouragement be for people just to make a difference in their family, in their community, in their church, to really overturn some of these trends that you've been talking about? Richard Weikart: I think first and foremost, I think really the way that I think the trends could be reversed in terms of a longer standing thing is I think we're going to need to have religious revival ultimately. I think we're ripe for it. We look at the times where religious revival in the past, and they've been dark times. You look at what has happened previous to the different religious revivals and it's been dark times, and secularism seems to be triumphing in those particular places and times. I think cultivating a spiritual life and close relationship with Jesus, that's going to be the primary thing. Passing that on to the next generation best way we can. I'd say that's really the primary thing. I think beyond that, I think we need to get up to speed on these issues and sort of understand where the secular thinkers are coming from, and how they are undermining and eroding the sanctity of human life. It's not enough just to participate in pro-life demonstrations and rallies, which are all good, and I do participate in them myself. I'm not saying don't do that. That's important too, but we need to realize that the reason we're losing this battle is because of the underlying world view issues that need to be cultivated, understood, passed on to the next generation so that we can understand how the value of human life is being undermined by secular thinkers in all sorts of ways, and stand up against that. Sean McDowell: Richard, I'm curious how your work has been received by people on the other side. Is it ignored? Are you personally attacked? Are they up for a good discussion and debate? What's the response been? Richard Weikart: The Death of Humanity hasn't received ... I haven't really seen much in the way of a lot of response from secular thinkers other than a few that I've had a little email contact with or stuff. A couple of them have attacked me. Other just sort of brush it aside. The Book Hitler's Religion actually, interestingly, has got pretty good reviews all across the board. Even a humanist website gave it a very positive review. I've been pretty heartened by that review. The Death of Humanity, I think is actually my most important book I think that's out so far. I am hoping that secular people will read it, although I don't know how much of that's actually happening right now. Most of the publicity it's got has been sort of in Christian circles. I don't know how many seculars have actually read it. I'm hoping they will though, because one of the things I try to do in The Death of Humanity, is I try to show the problems in consistencies, contradictions within secular thought, to get secular people thinking about how can these things be true? How can their world view be true in light of the things that they themselves know about human life and its value. Scott Rae: Richard, one last question. What, if anything, makes you hopeful about culture today recovering its respect for the sacredness of life? Is there anything out there that you're hopeful about? Richard Weikart: There's one thing I think that I just mentioned, and that's that I think that the consciences of a lot of even secular thinkers still makes them understand on one level or another that human life does have value. Again, I try to show this in my book. Let me just give you one example of this real quickly. Bertrand Russell, one of the most famous early 20th century British philosophers, claimed in his philosophical works that life is meaningless, that there's no purpose to life, that morality is simply an emotional feeling that you have about things, that there's no objective reality to morality, or anything like that. Then you look at his life and you see that he was intensely moralistic. In fact, his daughter, Katharine Tait, wrote a book called, My Life With Bertrand Russell, where she says that he was an absolutist morally, even though it flew in the face of his whole philosophy, that Bertrand Russell actually said that he had this passion for God, even though he didn't believe in him. There's this really profound quote from the letter that he wrote to a woman that he was in love with, where he says it's like loving a ghost. He says that it gives his whole life meaning, even though he doesn't believe that God exists at all. Bertrand Russell was a fascinating figure. I think a lot of secularists are wrestling within themselves over these issues. Bertrand Russell certainly was, and we wouldn't know that if he hadn't written this letter, and written to some other people and such about it. I think a lot of people, even with secular mentalities, are wrestling with these ideas, because they know at some level that human life has value, even if their whole philosophy cries out against it. Even if they promote death affirming corollaries to their philosophies, such as abortion, and infanticide, and euthanasia, at some level they know human life has some value. Scott Rae: I think we're gonna have to have another conversation just about Bertrand Russell on this. I find that incredibly interesting and very, very puzzling as well. Richard, thank you so much for coming on with us and giving us a glimpse historically at the roots of some of our major ethical issues that we're facing as a culture today. I want to recommend to our listeners, particularly your book, The Death of Humanity and the Case for Life. It's one of the best, most informative books out there on the bioethical issues that we are facing in our culture. The historical roots you bring to bear on those issues, I find a really valuable contribution. We're very grateful for your good work as a historian, but also for your collegiality as a brother in Christ, as you're giving us, I think, a historical blend of things with a lot of these ethical issues that we just don't see a lot of. Thank you for coming on with us. Thank you for your good work. It's been rich to talk to you. We would really like to do another one of these with you. This has been an episode of the podcast, Think Biblically, Conversations on Faith and Culture. To learn more about us and today's guest, Dr. Richard Weikart, and to find more episodes, go to Viola.edu/thinkbiblically, that's Viola.edu/thinkbiblically. If you've enjoyed today's conversation, give us a rating on your podcast app and share it with a friend. Thanks so much for listening, and remember think biblically about everything.